Come on, stop being so gorgeous. Weiss found himself waking from a long, dreamless sleep, into slanting sunlight in an unfamiliar room. His muddy clothes were heaped upon the floor, strange and foreign amids the clean linen sheets, the tall arching windows, the fluttering white drapes, and the smooth white stone floor. Cool mountain air drifted in the windows, but Weiss was more interested in the smells drifting in through the bedchamber’s door: rich, meaty, hearty smells that set his stomach rumbling with an urgency that brooked no argument. He dressed himself in a brown robe that hung beside the bed, and despite feeling rather awkward in its loose folds, he made his way out into the hall. “Good morning, traveller,” said the man from the gate last night, who was stirring pottage over a cheerful fire in the common room. He rose to press Weiss’ hand sincerely, introducing himself as Hallan, and then gestured him to a place at the table and served him: pottage with red beans and mutton, thick slices of bread, cheese, and then cream and berries, and steaming tea. Weiss ate and ate, until looking down at his place he was suddenly quite ashamed of how much of this good man’s food he had eaten and what poor company he had been throughout. “Nay, nay,” said Hallan mildly when Weiss apologized. “There’s few come through here that aren’t in need of a good sleep and a better meal, but you looked more in need of them than most.” He nodded in the direction of a large mirror that hung to the left of the table and Weiss, giving his reflection the attention that had previously been fully taken up with food, was shocked at how gaunt and dirty he looked. “I wonder you were willing to put me in one of your beds in this state,” he said, shaking his head. So Weiss began at the beginning, meeting Mare on the plains, his struggle in the marsh, how Signa turned back. The man and the mountain and the flight from the Blind Eye. “She said she had one more village to visit,” said Weiss. A little knot of worry danced into the air off Hallan’s brow, and Weiss swallowed it, and would nurse it for all the rest of the morning and evening. Together, they passed the afternoon in extraordinary peacefulness, drawing water from a mountain stream to warm for a bath for Weiss, and then to wash his clothes. Standing in his room as he readied himself to dress in his sun-dried breeches, jerkin, and cloak, Weiss ran his palm along the strict cording of the Deedsweight where it cut into the skin of his shoulder. Unbreakable. Everyone had always said so. Just something to live with. And beyond through the wide stone arch of window, Caethron lay in the valley, a little cluster of white stone houses, small amidst the crags and grasses, and it was hope. Weiss squared his shoulders, and it was as if his heart was running, sprinting and leaping through the open window, down, down the rocky slope, to the village, and to what was beyond it, to the way that would lead him—must lead him, for what else was there?—to the Breaker of the Unbreakable Cord. “They will find us, I know they will.” Aldous said it quietly, into the scrub grass, so neither the Thron nor the farm worker could hear. She knew she ought to sleep; it was still a few hours before day and she could use the rest for the journey ahead. The mountains were cold, though, and her heart was colder with fear. Vana and Cressus would’ve gone back by now, to the spot where they had left her guarding the prisoners, and they would’ve seen her treachery, and they would be hunting. Cressus, she thought, might give her mercy, but Vana would not be reined in, not after this. And when she thought of Cressus’ fierce glee, breaking the staff and binding the women and pounding away after Weiss, she was not even sure he would give her mercy. She shook like a leaf as she lay wrapped in her cloak, and not only for the chill of the ground. Aldous had cried. By the Queen, she had cried harder than she could ever remember crying, till her cheeks throbbed and the skin around her eyes was dappled red and her nose ran like a neglected child’s, and Mare had lain patiently on the cold ground until the storm was passed and Aldous was ready to saw the ropes loose and help Mare and Arris, the villager, to their feet. Her cave-creature heart had held onto Cressus. It was still holding onto him, truth be told. Amid the roil of fear and hope, there was a little warm nucleus of memory, his skin against hers, their lamplit tenderness—it was clutched against her as close as his real body had been, where no one could touch it. Yet she had betrayed him. He would despise her. Dawn came, greying then gilding the sky, and Arris stirred, and woke, and began building a fire while Mare slipped off into the brush to gather food. Aldous felt she should help, but she didn’t know the first thing about building a fire nor foraging, so she sat awkwardly off to the side instead. “Come get warm,” said Arris at last, tersely. She was older than Aldous, her skin lined and tan from her work in the sun in a way that made Aldous’ own pale skin look almost babylike. She had kept aloof from Aldous so far, which, considering that Aldous had been her jailer not twelve hours ago, was fair. But now, as she fed the fire with chips of dung from her pack, Arris made a space for Aldous, who came forward gratefully to warm her cold-clumsy hands. “He was quite a man,” said Arris without introduction, and it was a question. “I did not know he could be cruel like that,” said Aldous plaintively, beseechingly. Arris looked back at her with steady eyes, unyielding, and Aldous’ voice dropped into a murmur: “He was so very kind to me,” she said. “What could Elionae do?” asked Aldous, half-hopeful, half-suspicious. She was comforting, her smile, her hands, her voice, in a way that was peculiar for the youngest of the group. Mare looked closer Weiss’ age, perhaps twenty-four, and yet Aldous at twenty-eight and Arris, who must be into her thirties, were drawing from her, turning their faces to her as new seedlings follow the sun. Mare spread a leather roll before the fire, in which was dried meat, and dustbread. Beside it she deposited cress, and breadroot, and mushrooms, nuts, and a handful of round blue-black berries Aldous didn’t recognize. Aldous plucked, half-unconsciously, at the black cord of the Deedsweight that cut, taut as a bowstring, the baby-white skin of her shoulder. 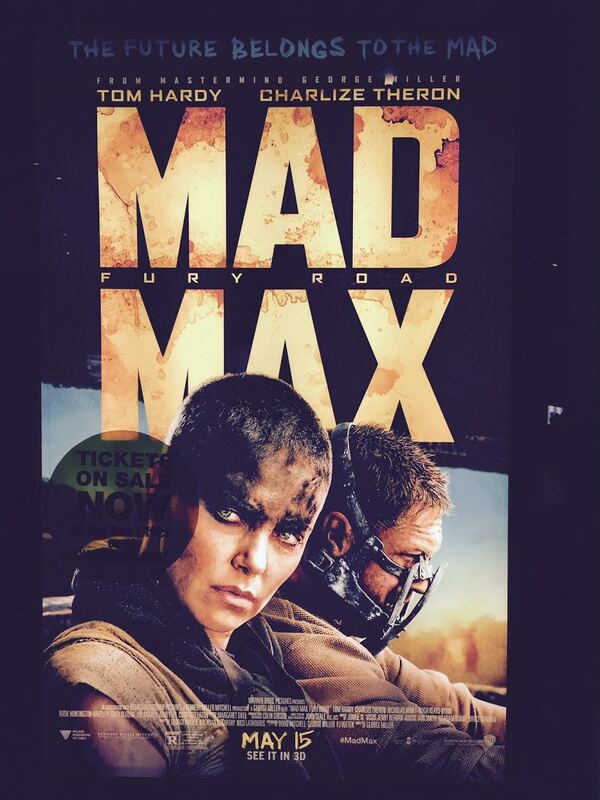 When I first saw the Mad Max trailer, I almost shuddered. I honestly thought it looked like one of the stupidest movies I’d ever seen. Inexplicable babes and dystopian car chases and apparently nothing else. Then it opened, and Steven started hinting that we might want to go see it; the internet buzz was that it was fabulous. I started softening, and agreed to watch it. We watched two of the originals first, and I’d recommend it. Anyhow, we were way behind everyone else in seeing it because parents, but if you haven’t seen it yet, rent the originals off iTunes (they’re like $4) and then for heaven’s sake hie yourself to the movie theatre and go see this movie because it is awesome. And probably wait to read this post, because spoilers. Visually the movie is stunning. The scenery is incredible, especially for a barren wasteland, and the prop department must’ve had so much fun designing the vehicles– everything, the polecats, the hot-rod tank, the costuming, the engine-based religion, all harks back to and expands on the offbeat motorcycle-gang world introduced in the original, but taken to an epic scale. Actually it felt like that progression in a lot of ways. The original was a (kind of awful yet oddly beautiful yet weird) very intimate story in the midst of apocalypse. No cities levelled, no epic battles, just open road and a few motorcycles and cars, really; a story about a family. The second one expanded the scale to a settlement big enough to need a bus to get around. From the looks of the trailer the third is a slightly larger world still. And then this, a handful of cities. Really, it’s still quite small, Joe’s territory not more than a day’s journey around. But the environment got harsher, the cultures stranger, the violence broader, and Max himself more laconic and withdrawn. It’s no secret this is being hailed as a feminist film, but really what I really loved about it was it was just a great story. The women didn’t feel like tokens, like cardboard cutouts, like embodied concepts about feminism, but like real humans beings with passion and resonance and variety. You know, like women actually are. Role of Women: In the world of the film, the women of the Citadel are breeders. The most telling line to me was just a casual comment between two of the warboys after the Five Wives are discovered to be escaped along with Furiosa: “She took a lot of his [Immortan Joe’s] stuff.” “What stuff?” “His breeders.” Although Furiosa is entrusted with driving a war rig, most of the women we see in the Citadel are caged and controlled: the nursing mothers hooked up to constant breast pumps, the wives in their warren. In the commentary of the film, though, the women are, to quote, “not things.” The moment when you first see the Wives, slender, sparsely clad and luscious, (described in the previous link as “what would happen if someone decided to heavily arm a Burberry ad”), the knee-jerk reaction is to assume they’re what they look like, what they would be in almost any other action movie: eye-candy. My gut reaction was to object, as I would in any other action movie. But, of course, in the story eye candy was what they were, the role they had been forced into by nature of their lives. But the story took you beyond that. Into their loyalty, dignity, and ferocious passion to be free. Early in the movie, during the first chase into the dust storm I think it was, a war boy drops into the vehicle. The five young women, out in the rough, dark world for the first time in their lives, with no knowledge of weapons, with soft hands and long flowing hair and smooth skin, pounce on him, grabbing and biting, their drive to be free crackling across the screen. I swear, in any other movie ever those women would’ve been screaming and cringing. It was a beautiful moment to see onscreen. Another equally beautiful one was when the heavily-pregnant Angharad places herself and her child between the man who had owned and abused her, and the woman who was helping her escape. Her dignity in that moment was palpable. Great article that outlines a little more of this aspect here. Sexualisation of Women: Coming out of the theatre, I was reminded of the movie Sucker Punch, the one and only movie I walked out of midway through at the theatre. It purports to be a story about young women fighting back against sexual abuse, but the moviemakers sexualised the actresses so heavily that it felt like it was spitting in its own face. Fury Road was the opposite. A story about women sexualised and abused and objectified completely by their world, who are not at all sexualised in the film. No panning shots up their legs. No suggestion that the hero is entitled to sexual access to them by virtue of helping them (see Skyfall). Even the way they were dressed, which could easily have been presented very sexually, was instead a piece of storytelling, an imposition on them from outside that didn’t detract from their dignity and strength. Bechdel Test Pass/Fail: Pass, of course. Male:Female Ratio: The pursuers are exclusively male, and there are a lot of them, so in that sense they outnumber the females, but of the characters you get to know and connect with, females outnumber. Outnumber, yes. Are you buying your movie tickets yet? Need more convincing? Everything here. Still not convinced? 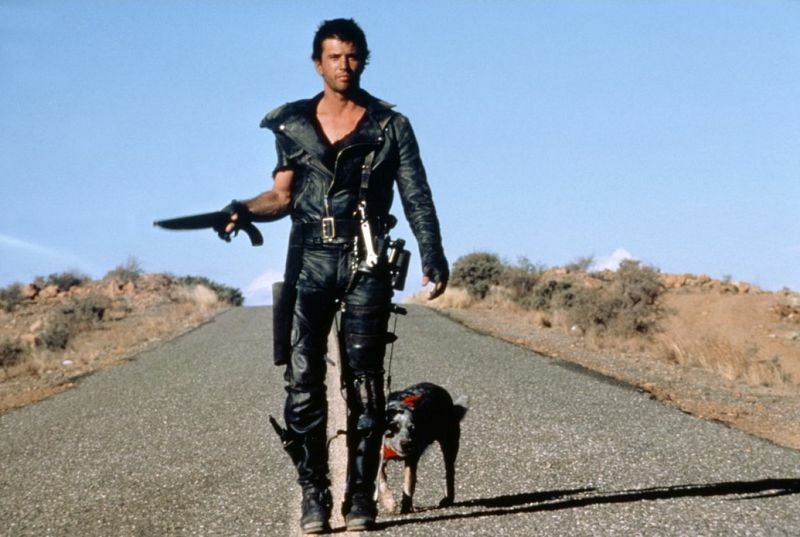 Look at this picture of Road Warrior Mad Max and COME ON. Oh, and one final good moment. At the end of the film, the lactating mothers you saw at the beginning, they ones who just felt like props establishing the place of women in this society as, like, human cows? They’re the ones who step out and open the water gates. They are not things, either.